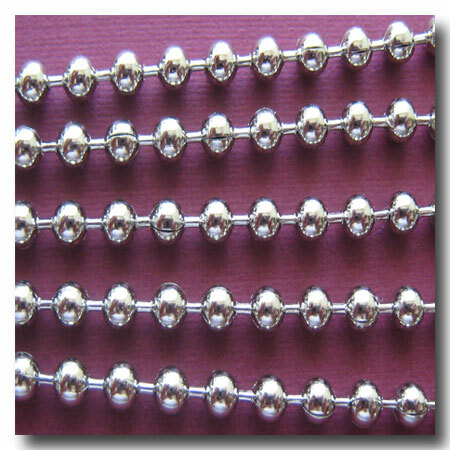 NICKEL PLATED BALL CHAIN. FINISH: Gunmetal. BASE: Brass base. STYLE: Ball Chain. WEIGHT: Light/Medium. 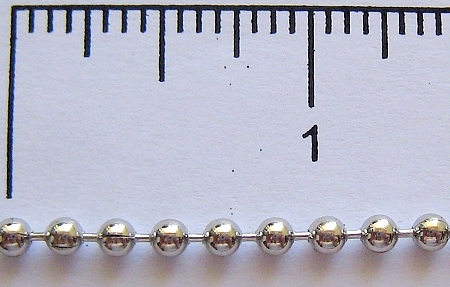 DIMENSIONS: 3.2mm. 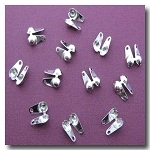 Use with: 1-256 Nickel Plated Ball Chain Connector - 3.2mm; 1-489 Nickel Plated Ball Tip Connector - 3.2mm. 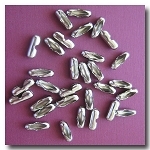 Also Available in Antique Gold Plate 1-273, Silver Plate 1-275, Antique Brass 1-385, Antique Copper 1-412, Gunmetal 1-313, Antique Brass 1-385 and Black 1-279.